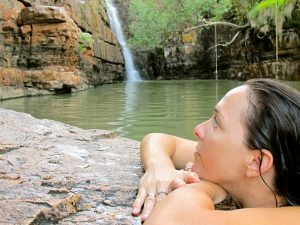 Freshwater East Kimberley Apartments > Kununurra Accommodation > Cooking in Kununurra’sself Contained Apartments Using Local Produce. You know that feeling when you have been on the road for so long that the idea of a home cooked meal, a comfy bed and television sounds so you good you would trade just about anything to make it happen. With Freshwater Apartments offering self-contained apartments in Kununurra including a full kitchen with a cooktop and oven, a dishwasher and kitchenware, the promise of a homey meal using fresh local produce handpicked from the markets, paired with a fabulous vino sounds like the perfect end to a great day of exploring the magical East Kimberley landscape. The only problem is, that after a long day of exploring weary travellers may find it easy to forgo self-catering and head out to a restaurant. I’m here to tell you it doesn’t have to be that way! You can create simple and delicious meals in a flash, and then take advantage of the dishwasher and relax on the balcony to soak up a balmy tropical evening. Self contained apartments are the best choice when travelling, to allow you to really live like a local. 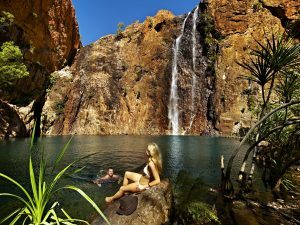 Head down to the Kununurra markets on a Saturday morning and pick up beautiful fresh local produce and tropical flowers to decorate your table, all grown on the banks of the Ord River. 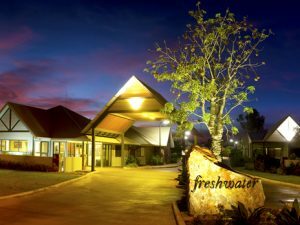 Freshwater provide a complimentary 10am town transfer daily to help you lug home your fresh groceries. 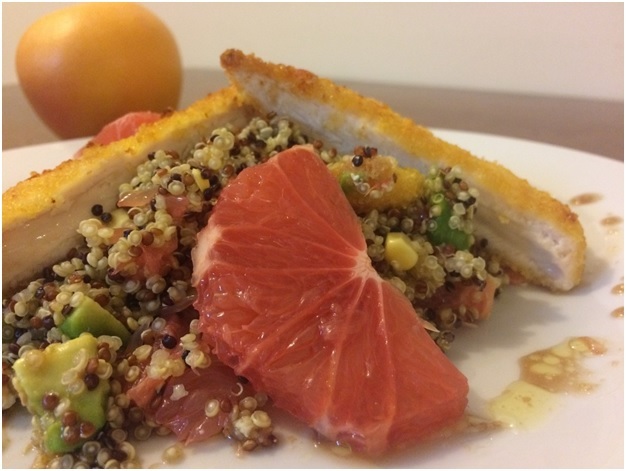 Check out this delicious Chicken and Quinoa salad I’ve whipped up using local limes, grapefruit and corn. I would take it out onto my balcony of my self contained apartment in Kununurra and enjoy it while soaking up a balmy tropical evening. • Cook quinoa according to packet instructions (microwaving takes 10 minutes). • Place chicken in the oven, drizzled with honey and lime and cook approx. 25 minutes. • Dice, crumble and slice 1 red grapefruit, avocado, fetta and corn and mix together in a big bowl. 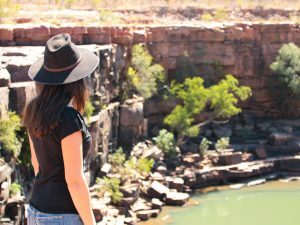 For more recipe ideas visit Out of the Ord, a project which aims to highlight the numerous crops grown in the East Kimberley region along with recipes suggestions and family stories.